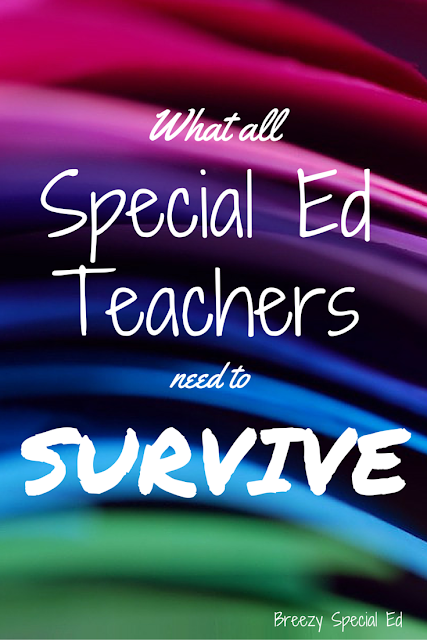 As a special education teacher, what gets you through the day? We all love our jobs, but will admit it can be challenging at times. We all have different essentials for our classrooms and things that get us through each day. So, special education teachers, what could you not live without in your classroom? 25+ teachers chimed in on Facebook and Instagram and we came up with this list. (Not in order of importance!) What would you add? 1. Laughter and Humor. You have to see the funny side of things. Laughter can get you through the day and those situations when you think, "this really can't be happening...but it is"! 2. 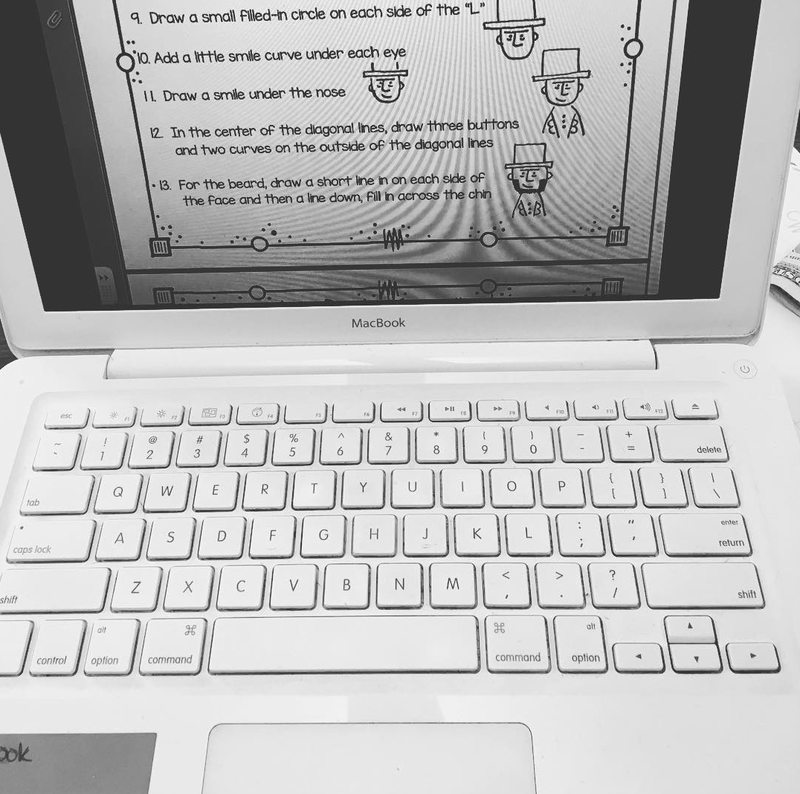 Classroom management / Behavior system. Yes! Make sure you have a plan and clear expectations and find something that works great for you and your students. 3. Velcro. Sped teachers love their Velcro and lots of it! Get the Velcro coins - I love the price of these ones! * And the coins are so much easier! 4. Laminator and laminating sheets. Well, what were you going to use that Velcro on? ;) Plus your materials will last SO MUCH LONGER! I own this one*. 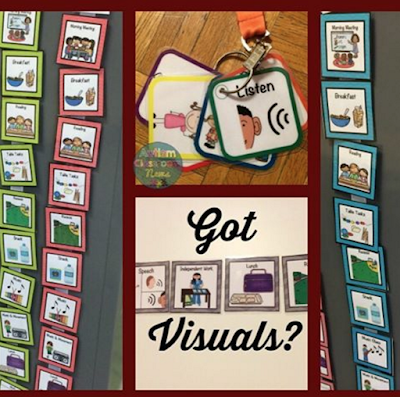 @autismclassroomnews~Want the above visuals in your classroom? Get them from Autism Classroom News! 5. Visuals (created with the aforementioned supplies). Visuals for EVERYTHING! 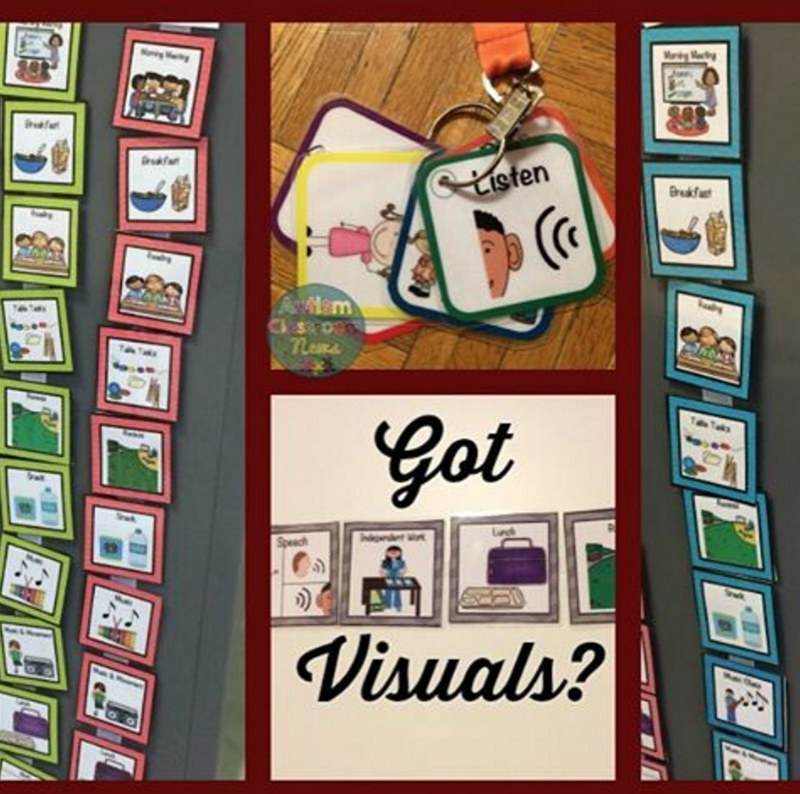 Essential for our visual learners and non-readers. I also love this simple and easy to access keychain visuals. 7. Jesus. When you have no more strength or patience, pray, pray, pray! God comes through! 9. Computers. And Pinterest (follow my boards here)! And TeachersPayTeachers! And sooooooooo many educational websites! 10. Inspirational Quotes. Helps you remember what you're doing and why you're doing it. What you do in your classroom makes a difference! 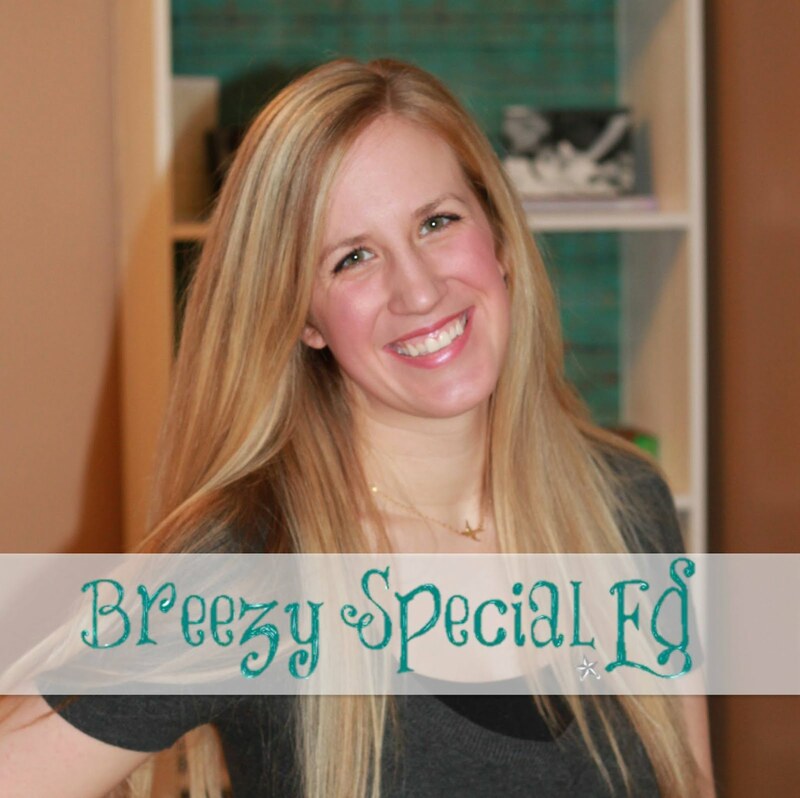 Here's a collection of #BreezySpecialEdQuotes. 11. Sticky Notes. SO. MANY. THINGS. TO. DO! Must Remember!! 12. Smart phone. Seriously. Our phones have everything! Entertainment to distract kiddos during a drill. Timers. Camera. Texting parapros when they are out with a student. We could go on and on. What did we do before these?! 13. 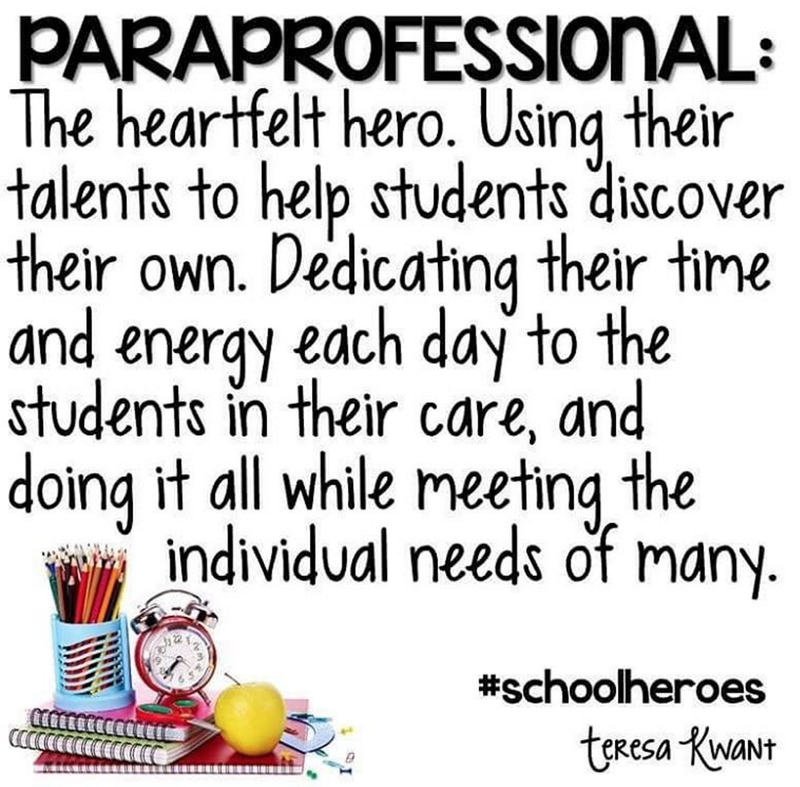 Paraprofessionals. Finally, we simply could not do any of it without our amazing classroom aides! Thanks to everyone who joined in helping me create this list! Did we miss anything? And be sure to follow the teachers' Instagram accounts linked above to see their great ideas each week. I nodded my head through this whole thing but the thing I was most blown away was with the cheap Velcro. You changed my whole life! I actually found these laminating sheets last week at half off. I picked some up and may pick up some of those velcro dots to go along with it. Thank you!